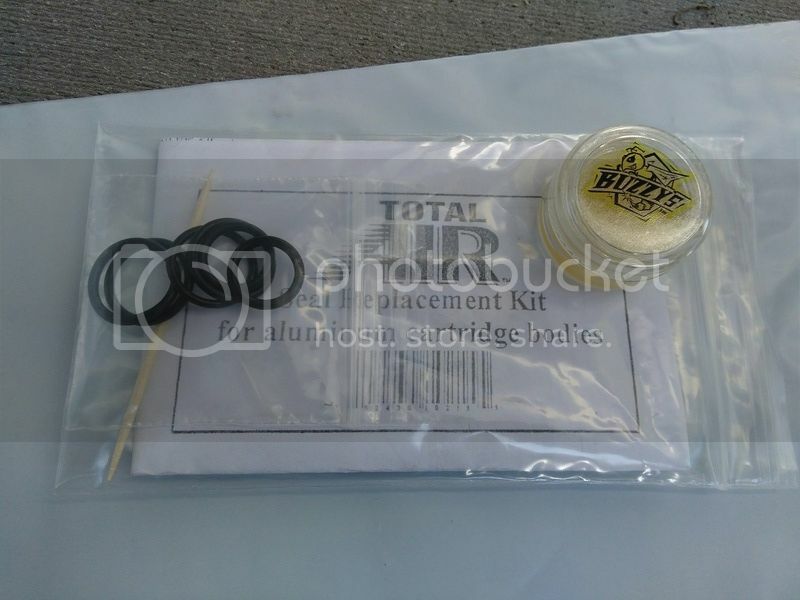 Brand new, never-used replacement Seals Kit for Englund Total Air cartridges! used the Englund Total Air cartridge kit. ** Buy with confidence! This is a Brand New seal kit, not 20+ years old! ** I have the Original, MASTER Spec List for the seals used in these cartridges! FREE SHIPPING IN USA! $14 USD for International shipping worldwide (Sorry, USPS raised the International postage rates). I mail by standard USPS First Class Int’l Package service, so please allow 2-3 weeks for International deliveries. Save $10 USD from eBay pricing! This entry was posted in Bikes on October 20, 2016 by bryanus. I’m looking to upgrade my 1996 Rock Shox Judy and I know I’m many years late to this game but I’m looking for the actual air cartridges themselves. When I bought the bike the elastomers were powdered from years of hanging upside down with no oil, I’ve switched to the Kronos springs but I’m still looking for some more strength. Air is the way to go and I’m interested in even a single broken air cartridge if you have one. I can machine brand new cartridges if I just have one to take a part and measure. Sorry, Chris, Unfortunately I don’t have any cartridges myself anymore. I only have the seal kits. Best bet is eBay. They do come up believe it or not, in various states of functionality. You will want the black (nylon) version for your Judys. If you have the ability to machine some new cartridges, I bet you could make a swift business selling them to the Vintage crowd. Please let me know if you do, heck I’d be interested myself! Hello Chris, I will be taking mine apart this week to see which kit I need to order. I will take a cartridge in to work, spec it out for you. I’m a machinist too. Hi Chris, where are you located I have a set apart and could get you some dimensions if that would help. I’ll be ordering the seal kit in the next couple of days. Is the seal kit for the nylon cartridge still available? 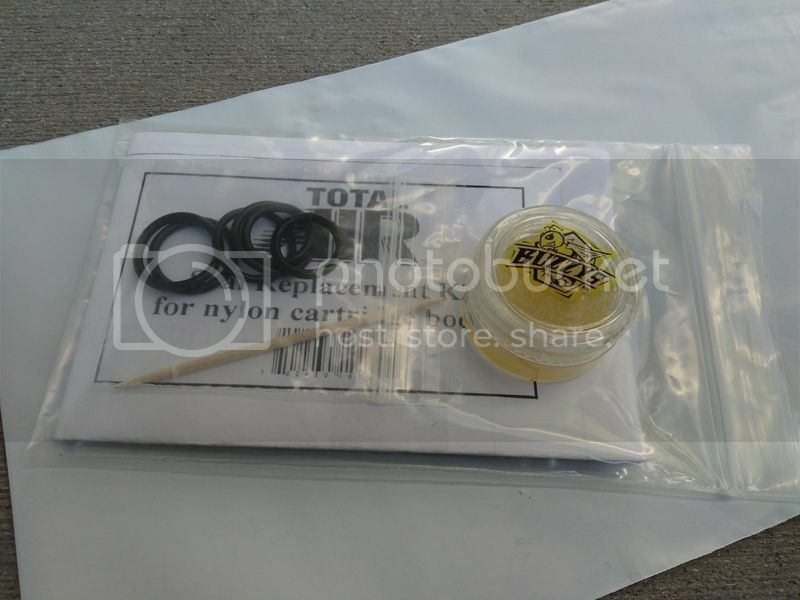 Hi Gary, yes I have seal kits for both the Nylon (black plastic) and Silver (alloy) cartridges available! Just ordered the kit. Does it come with instructions? Any special tools needed? Ship date? Hi Bill! So sorry for the late reply to your comment. For some reason I never get comment replies to my posts! In any case, you should have several months on the your forks with the kit installed now. I hope everything went smoothly and the instructions were clear. Let me know if I can help!